Michael Buerk – Award Winning Broadcaster, Author, Guest Speaker and Conference Presenter/Facilitator. Michael Buerk is one of Britain’s leading award-winning broadcast journalists. He has worked as a BBC news correspondent and presenter for more than thirty years. He anchored the BBC’s main evening television news programme from 1989 to 2003. He continues to present the corporation’s news programmes in combination with several major television documentaries, news assignments overseas, radio series for BBC Radio 4 and presenting special events for the BBC. He also presents factual television programmes for other channels, two for Sky TV in 2011 and more recently “Britain’s Secret Treasures” a prime time series for ITV1 in 2012. He chairs the Radio 4 programme on ethical issues the “Moral Maze” and the Radio 4 programme on individual dilemmas “The Choice”. Apart from his role as a BBC newscaster, he is best known in Britain for presenting the peak time programme about emergencies “999”. The programme ran through 15 series between 1991 and 2002 and, for much of that time, was the BBC’s most popular factual television programme. 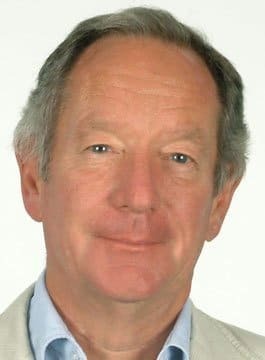 Michael Buerk is also known for his career as a foreign correspondent for the BBC during which he probably won more international awards for television reporting than any other British journalist. Several of them came from his coverage of the Ethiopian famine in 1984/5. His films alerted the world to the tragedy. They were shown worldwide to an audience of hundreds of millions (they were shown in the United States on the NBC network). They led directly to a massive international relief effort valued in billions of dollars, to Band Aid and Live Aid, which it is estimated saved over a million lives. Michael Buerk has probably won more international awards for television reporting. His autobiography “The Road Taken” was published by Hutchinson in September, 2004. Apart from broadcasting, Michael Buerk lectures on international issues and environmental matters and chairs conferences on current affairs and business issues.